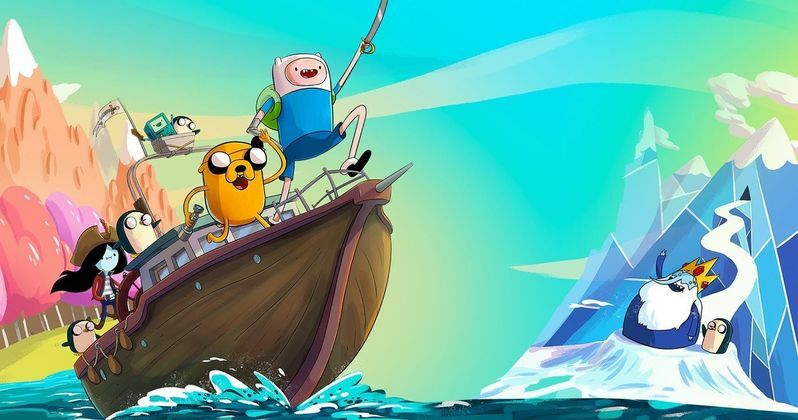 Get ready, Adventure Time fans! The adventures of Finn & Jake will forever live on with Adventure Time: The Complete Series DVD box set and a soundtrack box set, sold separately. In celebration of Adventure Time: The Complete Series DVD Box set and soundtrack, both will release on April 30, 2019 & May 3, 2019 respectively. From visionary creator Pendleton Ward, Adventure Time: The Complete Series 22-disc DVD collection, available April 30, includes all 238 captivating episodes from the Emmy-Award winning series. The Enchiridion collectible packaging will feature an immersive 25-page storybook, including a centerpiece pop-up with custom illustrations showcasing all the beloved characters. The collector's box set will also include an all-new bonus disc enabling fans to immerse themselves in hours of exclusive special features. Shmow-zow! The Ultimate Soundtrack Box Set, fans can transport themselves back to any episode and sing along with over 160 songs spanning the entire series. Available May 3 for digital download & streaming on all major platforms, this must-have box set will include "Bacon Pancakes," fan-favorite "My Best Friends in the World," and more! Additionally, a multi-format physical box set with custom illustration, in partnership with Mondo, will include vinyl, CD, and cassette and be available for pre-order starting May 3, 2019. As an homage to a generation who came of age in the Land of Ooo, Cartoon Network is celebrating with a one-of-a-kind, fan-generated music video for the iconic theme song, "Come Along With Me." • "Sonic Sounds from Ooo" - A 13-minute featurette about the composers and iconic music from the series. • "Farewell Tour" - A comprehensive retrospective with those who created some of the most unforgettable moments of the series including executive producer and showrunner Adam Muto; voice of Finn, Jeremy Shada; voice of Marceline the Vampire, Olivia Olson; Summer Camp Island creator, Julia Pott; Over the Garden Wall creator, Patrick McHale; The New York Times bestselling author and Steven Universe creator, Rebecca Sugar; OK K.O.! Let's Be Heroes creator, Ian Jones-Quartey and more. • Music Videos - See visual imagery of popular songs, live performances from the cast and friends of the series at San Diego Comic Con and more!